Before proceeding to the statement of at-Tahawi it is important to provide a little background. The Mutakallimoon (Jahmiyyah, Mu'tazilah, Kullaabiyyah, Ash'ariyyah, Maturidiyyah) all share in a rational, intellectual proof they devised to demonstrate the universe is created. This is called "Hudooth ul-Ajsaam" or "hudooth ul-a'raad fil-ajsaam". 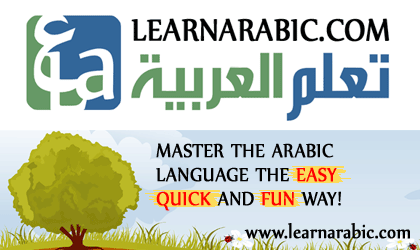 The basic underlying language, classification and terminology for this proof is Aristotles "Ten Categories", known to the Arabs in that time as "al-Maqoolaat al-Ashar", or "al-Jawhar wal-'Arad". It argues by the presence of qualities (sifaat), incidental attributes (a'raad) and events, occurrences (hawaadith) in the bodies (ajsaam) that make up the universe that these bodies are themselves events (hawaadith), and subsequently events cannot go on for infinity in the past, thus there must be a creator. This proof was pioneered by the Jahmiyyah and Mu'tazilah, in particular, Jahm Bin Safwaan (ex. 128H), and refined and formalized by Abu al-Hudhayl al-Allaaf (d. 235H) - (see this article). The Mu'tazilah incorporated some other notions into it (namely "Atomism") to make it easier to argue the case and iron out some criticisms. The Ash'ariyyah took this from the Mu'tazilah and it is found in all their early foundational books such as those of al-Baqillani (d. 403H), Abu Mansur al-Baghdadi (d. 429H) and al-Juwaynee (d. 478H) - see the proof here. The usool of the Ash'ariyyah and Mu'tazilah are the same. Their differences in reality are only on subsidiary issues relating to what can and cannot be affirmed or denied (from a rational perspective) for Allaah without invalidating this proof they are all agreed upon. And then treating this proof to be the ultimate truth upon which the very veracity of Islaam depends [some of them like al-Juwaynee (d. 478H) going to extremes and making takfir of the one who reached the age of discernment, had the ability and opportunity to observe and inspect and prove His Lord through this proof but did not do so - see proof here] - they were forced to stick to that same language in describing their Lord to the Atheists. Now go and pick up the books of the Ash'arites (at-Tamheed of al-Baqillani, d. 403H, Usool ud-Deen of Abu Mansur al-Baghdadi, d. 429H, al-Irshaad of al-Juwaynee, d. 478H, by way of example) and that's all you are going to see for a significant part of these books. Thus, the language of Tawheed became nothing but denying qualities (sifaat), incidental attributes (a'raad) and events (hawaadith) for Allaah. The differences between the Jahmiyyah, Mu'tazilah and Ash'ariyyah are only subsidiary. Their arguments against each other are only to do with what can and cannot be affirmed or denied for Allaah, without invalidating the intellectual proof, after their agreement that this proof is the ultimate truth and that the deen of Islaam depends upon it. That's their secret, and if you grasp all of this, you've really got to the inner-core of their entire machinery. So the Jahmiyyah denied everything in its totality (names and attributes), and thus Allaah became described with nothingness. They said, "Describing Allaah with anything at all is tantamount to making him a body (jism) which is kufr" - kufr meaning here invalidating the intellectual proof which to them is something upon which the very veracity of Islaam depends upon - as they claim. So the Jahmiyyah denied the asmaa (names) and the sifaat, and what they considered to be the a'raad, and hawaadith. And their argument was that in observable existence we do not see anything have a name, or an attribute except that it is a body, and since we've just proven Allaah exists through the argument that all bodies (ajsaam) are brought about, created, then Allah cannot be described with anything that bodies are described with. The Mu'tazilah found a way to rationally justify the acceptance of the names (on the surface only) whilst rejecting the sifaat (both dhaatiyyah and fi'liyyah). So they rationalized that we can accept the Names (devoid of attributes) and this does not contradict or invalidate the proof, since they are just mere labels (without comprising or necessitating attributes). So the Mu'tazilah affirmed the asmaa (names) whilst denying the sifaat, and what they considered to be a'raad and hawaadith. And the argument of the Mu'tazilah was that anything with attributes (sifaat) and what they considered to be a'raad (incidental attributes) and events (hawaadith) must be a body, therefore they denied all but the names for Allaah. The Kullaabiyyah (whom the Ash'arites took their deen from) found a (rational) way to affirm the sifaat (dhaatiyyah), but rejected the sifaat fi'liyyah (actions tied to Allaah's will and power), because the latter in their view amounted to occurrences, events (hawaadith) which are the properties of bodies (ajsaam) according to the "Maqoolaat", and this would invalidate the proof. So the Kullaabiyyah affirmed the names and the sifaat dhaatiyyah, but denied the sifaat fi'liyyah because they amounted to a'raad and hawaadith in their view, and this would invalidate the intellectual proof. Whilst making an important note: That the Kullaabis and the early Ash'aris affirmed Allaah Himself, with His Essence, is above the Throne, that He has the attributes of face, hands and eyes, without ta'weel and tafweed, and they had powerful refutations of the Jahmiyyah and Mu'tazilah in this regard. And the early Kullaabi Ash'aris were upon this as well, al-Ash'ari (d. 324H) himself, al-Baqillani (d. 403H), Ibn Mahdee at-Tabari (d. 380H), Abu al-Abbaas al-Qalaanisee. The later Ash'arites however reverted back to the views of the Jahmiyyah and Mu'tazilah on these issues. See this series of articles for corroboration of all of that from the books of the early Kullaabi Ash'aris, and take a look at this from al-Baqillani (d. 403) by way of example. Thus, attacking Ahl us-Sunnah for affirming Allaah being above the Throne, with His Essence, is one of the greatest of intellectual frauds peddled by contemporary Asharites Jahmiyyah. So from all of the above, you should now understand why the Jahmiyyah, Mu'tazilah and the later Ash'aris all say things like "Allaah is not in a place (makaan)" and so on. It is because they are Ahl ul-Kalaam, they are upon the "Maqoolaat" of Aristotle in the formulation of that intellectual proof they made to be the foundation of their religion, and Tawheed to them is to absolve Allaah of the properties of bodies (ajsaam), and barely extends beyond that. Take a good read of this article from Aristotle right here and also take a look at our support group, Aristotelians Anonymous where these matters are explained in great detail with all the proofs from the books (with scans) of the Ash'arites themselves. You should also realise that ta'weel was an innovation of the Jahmiyyah and Mu'tazilah to deal with those problematic verses that clashed with their intellectual proof, many of the ta'weels of the later Ash'arites are those pioneered by the Mu'tazilah and Jahmiyyah ("yad" = "qudrah, ni'mah" and "istiwaa" = "isteelaa"). And likewise, Tafweed was an innovation borne out of the Kullaabi-Ash'ari paradigm, it was used to address the particular problems that ta'weel posed, because ta'weel essentially amounted to lying upon Allaah, and they did not feel comfortable in their souls about it. So those texts which gave the presumption of tajseem (i.e. which they considered to be a'raad and hawaadith) could be dealt with through tafweed ("it's not the obvious meaning in the language, only Allaah knows what it means, all we know is that this word exists in the Qur'an, so we affirm the word exists, annul its obvious meaning, claiming that it was not intended by Allaah, and then say Allaah knows best what He meant!") - and so the intellectual proof of "Hudooth ul-Ajsaam" is kept intact through this approach. Thus, the intellectual proof became decisive and definitive and the revealed texts became nothing but presumptions of tajseem and tashbeeh that were only useful for convincing the "dumb commoners" of faith, as Ghazali (d. 505H) was frank enough to admit. "Thank you for making ta'weel of the Attributes. As belief in Allaah is a greater issue than resurrection, and you've considered those texts to be nothing but presumptions of tajseem and tashbeeh for the dumb commoners (just like we do), then making ta'weel of the texts that speak about creation and resurrection is warranted even more! And that's what we'll do to those texts - creation and resurrection when spoken of in the Qur'an are only done through metaphors, so its not real creation or resurrection (that's just for the dumb commoners to believe in to help them "acquire faith"). Thus, the universe is eternal and you have no proof to show otherwise. And as for Allaah having "taqaddum" (precedence, coming first) as you say, then just like we all make ta'weel of uluww (aboveness) to mean one of rank and status and not in essence, then likewise "taqaddum" of Allaah over the universe is only metaphorical in the sense of rank and status and not in essence!" As for Imaam at-Tahaawi, then he is a person of hadeeth, not a person of kalaam, and his creed is a Sunni, Salafi, Athari creed - however the Mutakallimoon found some general and ambiguous phrases in his creed that they used to argue for their doctrines. At-Tahawi is not up the deen of the Kullaabiyyah Ash'ariyyah, he did not build his creed upon the kalam language of al-Jawhar wal-'Arad (body and incidental attribute), he does not believe that the first obligation is nadhar and istidlaal (to observe, inspect and infer proof for the universe being created) - however some of his language is ambiguous and some of it coincides with some of what the Mutakallimoon speak with and for that reason they pounce on his text and use it to promulgate their own Tawheed of al-Jawhar wal-Arad that at-Tahawi is free and innocent of, and which Abu Hanifah and his major students were free and innocent of (but which the later kalam-poisoned Hanafis tried to spuriously attribute to them). And we have used a number of English equivalents (underlined) for the verb "hawaa, yahwee" (in the statement, "tahweehi") so that the meaning is clear. This statement has been used by the Ash'aris in order to impute their Jahmee belief, that Allaah is "neither within the creation nor outside of it" to Imaam at-Tahaawi (rahimahullaah) - free is he of them and they of him. And this creed of theirs, they learned it and acquired it from the Philosophers such as Ibn Sina (d. 429H) (thank you Ibn Sina - see here) and the Jahmiyyah and the Mu'tazilah who are the true and real authors of this statement and creed. As for at-Tahawi, then he was a Sunni and a follower of the Salaf, and this statement of the Imaam - which is the subject of this article, along with his statements regarding the Arsh (Throne) are a decisive refutation of these Jahmites walillaahil-hamd. Point 1: Beware of the Translations That Support the Deen of the Jahmites! The above statement of Imaam at-Tahaawi has been translated by some in a manner that allows the Jahmites to justify their falsehood that Allaah is not above all of creation, above His Throne (as is confirmed by at-Tahawi elsewhere in his own words - see further below). The first half is correct, but the second half is incorrect and it is a lie upon Imaam at-Tahaawi to claim that this meaning of the second half, which is provided in English in such a way, is the very same meaning as that intended and contained in at-Tahaawis original. The six directions do not enclose, encompass, contain, surround Him, as they enclose, encompass, contain, surround all of the created things - meaning that nothing encloses, encompasses, surrounds or contains Him at all. The particular translation in question opens up the door for the part that has been underlined above. And it allows them to negate what Allaah has affirmed in the Book and in the Prophetic Sunnah and upon the tongues of the Companions, the Taabi'een and the entirety of the early Salaf, upon Ijmaa', that Allaah Himself s above the Heaven, above the Throne - because this equals the attribution of a direction (from amongst the directions) to them, the Mutakallimoon - and direction necessitates makaan (place) and place necessitates jismiyyah - (thanks greekos). So beware, and beware again of translations that come from the Jahmites or translations that come from those who are heedless of the snares of the Jahmites! 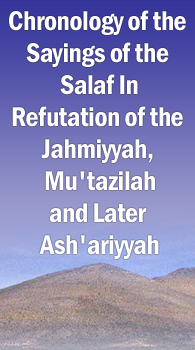 Point 2: The Saying of at-Tahaawi is a Refutation of the Jahmites and Deniers of al-Uluww! This also indicates the insanity of the one who utters meaningless statements such as "Allaah is not in a location (makaan) above the Throne", for if such a person believes that "makaan" is a created existing thing, then he has now affirmed that there is a created thing outside the boundaries of the universe, and so he has reverted back to essentially saying, the universe is infinite. So either affirm that all "places, directions, locations" are created, and thus, the universe does end and have a limit somewhere, or affirm that the universe does not have an end and is infinite - you can't have it both ways. Allaah is Above His Creation By Textual Evidence and Unanimous Consensus of the Salaf: And once we have established the above three points - the game is already over and the fraud is demolished - that's it. Because this leads us to the fourth point which is that in light of the above, this essence is not contained by the six directions as that is impossible, as has preceded. And by the textual ruling of the Book and the Sunnah, the relationship between the creator and the created is that Allaah is above His creation, and this establishes that there are only two true and real directions in reality, above (fawq) and below (taht) - as at-Tahawi confirms a little later. And the sound intellect agrees with the authentic text, so all of what has been mentioned above reconciles with and agrees with and conforms to what has come in the revealed texts. And this is the great mistake of these people - they have taken the metaphysical language, terminology and classifications from the atheist philosophers that have been used to characterize the observable universe, and then presumed that this same philosophy can be used to characterize what is uncreated, meaning Allaah. Thus, if something created is said to be above, then it must be a jism (body) - according to the Aristotelian Metaphysics they have used for the foundation of their religion - and if this is the case for a created thing, then Allaah has got to be subject to the same principles and rules, such that if it is said about Allaah that He is above the heaven, above the Throne, he must be a jism as well according to the religion of the Jahmiyyah, Mu'tazilah and Kafirs like Ibn Sina (see here) from whom the Ash'aris took their creed of saying "He is not within the creation nor outside of it". Thus, they have made tashbeeh and tamtheel between Allaah and His creation in the very foundational principles of their religion (thanks to the metaphysical language and terminologies they took from the Atheist philosophers) and this is why it has become impossible for them to speak of Tawheed with language other than "jism" (body), "jawhar" (substance) and their a'raad (incidental attributes). From this point onwards when he starts saying, "Allaah does not exist in a place", "Allaah exists without place", "Allaah is not encompassed by directions" and so on, all of that is just meaningless sophistry - it actually has no meaning to it at all. It is empty, fruitless, meaningless speech and it is not even applicable, because we have already established that the notion of six directions does not exist outside of the creation - upon the language of the Mutakallimeen themselves - otherwise they must affirm the universe is infinite which is kufr. They can't do that. As we have established that it is impossible for Allaah to be encompassed by the six directions as all created things are, when they make these statements "Allaah is not in a location" and so on, its talk which has no real meaning - their real goal is to deny there is a Lord above the heaven and a deity above the Throne - you need to read this article "The Four Doors" and then you need to read all of these sayings of the Salaf from the second and early third centuries to understand what is really going on. What is intended by all this speech of theirs is to reject the clear explicit texts in the Book and the Sunnah and the ijmaa' of the Salaf that "Allaah is above His Throne", but they can't do that directly, otherwise all people will come to know of their falsehood. And this is why they cannot quote from any of the Salaf prior to 300H who denied that Allaah Himself, is above the Throne, rather they only quote the latecomers, many of whom, whilst no doubt Scholars in their own right, were affected and influenced by the language of the Mutakallimeen. Ask them to trace their saying "Allaah is not within the creation or outside of it", to anyone from the Salaf before 300H, or lets say 400H to be generous. The only people they will find are Ibn Sina the Kafir (see here), the Jahmiyyah and the Mu'tazilah. Each of the above [four] points are undeniable. They cannot be opposed, denied, rejected, refuted. You can't run. And you can't make excuses. Try it. That the texts of the Book and the Sunnah as well as the innate instinct (fitrah) of people, all combined, do not amount to the saying that "Allaah is above His creation". It can't be done either. Even al-Juwaynee (d. 478H) did not dispute that, rather this is what led him to bewilderment and confusion at the end of his life. Or that there are any Scholars from the Salaf from before 300H (or even 400H if we are generous) who held Allaah is not above the Throne, or who held that Allaah is "neither within the universe nor outside of it" which was given currency by kafirs like Ibn Sina (d. 429H). It can't be done. The only people you are going to find are the Jahmiyyah and Mu'tazilah! Is a decisive, definitive proof for Allaah's Uluww, since it establishes He is not contained by the creation (as the notion of six directions only exists within the creation and it is all relative), and this establishes that He is unequivocally outside the creation, separate and distinct from it, outside of the confines of created bodies that are encompassed by the six directions on account of them being from within the creation. And the Arsh and the Kursee are haqq (true, real). And He [Allaah] is not in need of the Arsh and whatever is below it. He encompasses everything and is above [everything]. The Arsh (Throne) is a true and real created entity, and at-Tahaawi affirms that as is the view of Ahl us-Sunnah by consensus in opposition to the Jahmiyyah, Mu'tazilah and the generality of the Ash'ariyyah, who claim it is a metaphor and not a true, real created entity. at-Tahaawi made a specific point of mentioning that Allaah is not in need of the Arsh and whatever is below it, rather the Arsh and those who carry it (the Angels, as established in the Qur'an) are all in need of Allaah, as it is by Allaah's qudrah (power) that they carry the Arsh, so they are in need of Him. And it is for this reason that at-Tahaawi specifically mentioned that Allaah is "mustaghni" (not in need) of the Throne and what is below it. at-Tahawi has also established that there are only two true and real directions in reality, above and below, and that Allaah is above His Throne, above all His creation and that all the creation is below Him, the Throne and what is below it, and that nothing encompasses Him or surrounds Him. And it has been claimed by some of the Jahmiyyah that affirming even two directions still necessitates that Allaah would be "surrounded" and "encompassed" by them - and these Jahmites need their sanity checking for even suggesting such a thing, and this claim of theirs is not something that even needs rebutting - they need to go and check the meaning of the verb "hawaa, yahwee". On the Day of Resurrection, Allah will grasp the whole Earth by His Hand, and all the Heavens in His right, and then He will say, "I am the King, where are the kings of the earth?". So from this perspective, Allaah encompasses the creation. And as for those "dhaalimoon" who presume that Allaah encompasses the creation in the manner of a sphere containing another, then they are upon a "corrupt belief" and they have not made any just estimate of Allaah as is due to Him - as has been said by Ibn Taymiyyah (see here). In opposition to at-Tahawi, the Ash'ariyyah are not able to give any sound consistent position on what they believe regarding the Throne. So some of them take the approach of the Jahmiyyah and Mu'tazilah, and some of them say that the Throne is "mulk", Allaah's dominion, and other say it is only a metaphor that has been given for the purpose of illustration, but it does not really exist and so on. So how can it be said that they are upon the creed of at-Tahaawi, when they play around with the toys of the Jahmiyyah and Mu'tazilah? Meaning it is impossible for His creation to encompass Him in this life or the next. And this means that they cannot encompass Him in knowledge in this life, for they only know of Him what He has revealed to them. And they cannot encompass Him with their vision in the Hereafter (when the Believers will see Him), because they will see Him but cannot encompass Him with their seeing. And in this saying of at-Tahaawi is also an indication that the six directions cannot encompass Him either, as has preceded earlier on, as the six directions are notions within the universe, and as this is the case, then Allaah is above His Throne, above His creation, free of need of them, and they are in need of Him, and it is impossible for the creation to encompass Him, whether that is in the sense of knowledge or in the sense of what the Mutakallimeen speak of in terms of "jihah (direction)" and "makaan (place)", because all of that is below Him, and He is above all things, as at-Tahaawi said - and there are only two true and real directions, as it relates to Allaah and His creation, above and below. When at-Tahaawi affirms that the Throne is "true and real" and then he says that Allaah "is not in need of the Throne and whatever is below it", and then he adds after that Allaah "encompasses everything and is above (everything)" and when he has already established that the "The six directions do not contain Him" but rather Allaah is the one who encompasses everything (in the manner explained above) - then all of that establishes that at-Tahaawi is upon what his Salaf were upon, that Allaah Himself is above the true and real created entity which is the Throne, without being in need of it or what is below it. So here, we have made the Jahmee empty his pockets and we found that he stole some of the statements of at-Tahaawi that don't really belong to him at all. Why is this so? And nor that the Qur'aan which is recited is the created speech of man which is merely an expression of a singular meaning existent with Allaah's self from eternity. And all of this proves that at-Tahawi is not upon the creed of those Mutakallimoon, the Jahmiyyah, Mu'tazilah and Ash'ariyyah - he is free of them, and they are free of him, for his credal formulations are not derived from and rooted in what they made to be the foundation of their religion, the intellectual proof of "Hudooth ul-Ajsaam". But these people found generalized ambiguous language in the creed of at-Tahawi which they used to support their creed based upon "al-jawhar wal-'arad" (substance and incidental attribute). So these statements that the Jahmee misappropriated from at-Tahaawi (regarding the six directions) - we have taken them off him and sent him back home empty-handed. Finally, is it plausible that at-Tahaawi was upon something other than all of these: click here to see the list. If you say yes, you have reviled at-Tahaawi and if you say no, then you have invalidated your Jahmee belief that there is no deity above the Throne. And how can it be that for around 100 years before at-Tahawi was even born, Ayyub as-Sakhtiyaani (d. 131H) was exposing the Mu'tazilah because they were attempting to say that Allaah is not above the heaven (see here), and he was followed in that by many of the Imaams of the Salaf that came after him - so how can it be claimed that at-Tahawi was upon a creed other than those great Imaams? Save that it should be clarified that at-Tahaawi used some generalized ambiguous language that has led all of the Jahmites to flock to his book, making it their pillar and support in arguing for the deen of the Jahmites that if Allaah is described with what they deem to be incidental attributes (a'raad), that he must be a body (jism) - in accordance with their proof of "Hudooth ul-Ajsaam" and at-Tahaawi is free of the Jahmites, and he is not upon that falsehood of the Mutakallimeen, and the greatest of proofs for this is the saying of at-Tahaawi regarding the issue of the Qur'aan - for it is a decisive refutation of the Jahmiyyah, Mu'tazilah and Ash'ariyyah all of whom hold that the Qur'an that we have, which we recite and memorize is created, and they say this in order not to falsify their proof of "Hudooth ul-Ajsaam", because if the Qur'aan is the spoken word of Allaah, it means Allaah is subject to events and occurrences (hawaadith) and therefore must be a body. So when Imaam at-Tahaawi completely annihilates this Jahmee, Mu'tazili, Ash'ari belief with his statements, it shows that he is not in agreement with the foundation and core of the deen of the Mutakallimeen, which is their claim that Allaah does not have actions tied to His will (iraadah) - which to them constitute "hulool ul-hawaadith" - the taking place of events, occurrences that can only occur in created bodies. And it is for this reason you see these Ash'arites flocking to the book of at-Tahawi and attempting to explain away his creed on the Qur'an in the style and manner of the Jahmiyyah and Mu'tazilah who say that this Qur'an we have, in our possession, in its letters and words, recited, heard and memorized, is created. And when one looks more and more into the creed of at-Tahaawi - putting aside the fact that at-Tahaawi did use some generalized ambiguous language not known from the Salaf - then there is a comprehensive refutation of the deen of the Jahmites (inclusive of the Mu'tazilah and Ash'ariyyah) therein walillaahil-hamd.